SHAH ALAM (Dec 7): Gamuda Bhd is mulling more overseas projects to keep the pace of growth it has been achieving over the past decade, with a compounded annual growth rate (CAGR) of 15% in terms of revenue and profit. “Over the past 10 years, our CAGR for revenue and profit was in the mid-teens, at around 15%. We certainly would like to maintain our pace of growth going forward, which is why we are looking to foreign markets,” its group managing director Datuk Lin Yun Ling told a press conference after the group’s annual general meeting yesterday. 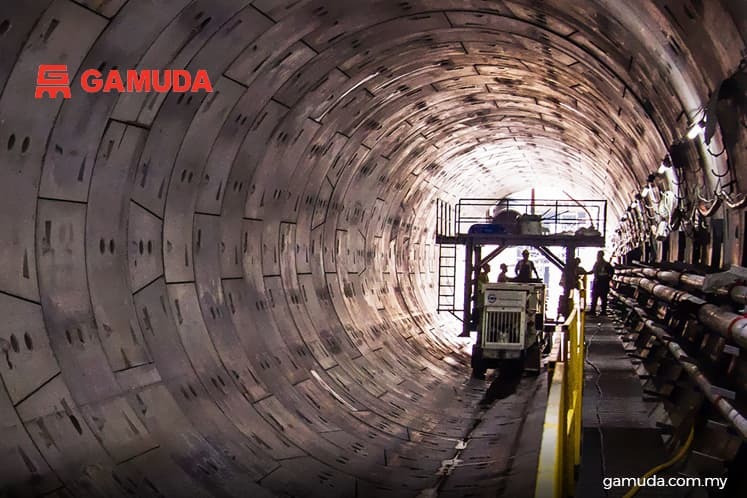 While Gamuda achieved its targeted sales of RM3.6 billion for the financial year ended July 31, 2018 (FY18), equally contributed by domestic and foreign sales, Lin noted that 70% of the group’s profit was derived from its foreign projects while local projects made up the smaller portion. “We will still be involved in Malaysia, but it won’t be sufficient for the growth we are aiming for,” Lin said, adding that Gamuda needs to make improvements to its core business capabilities and look at new markets as the group will continue to face challenges in the changing market. He pointed to the overhang issue in the property sector, which he said is partly due to the imposed quota on bumiputera units and low-cost units, as voiced out by many other developers. Many unsold units stem from these compulsory requirements by the respective state governments, said Lin, as developers are stuck with these bumiputera units, inflicting heavy holding costs for developers to keep these unsold units, thus pressuring margins. “The other factor is the requirement for low-cost or affordable housing under Rumah Selangorku (RSKU) for new townships, whereby for every three units of non-low cost housing, developers are required to build two units for RSKU. “A lot of the newer townships developed by the private sector are in locations where the Bottom 40% (B40) income group are not likely to buy, because these locations are located far away from their place of employment and therefore the take-up rate for these RSKU units are generally very poor,” Lin said. He said both these factors have resulted in heavy holding costs for developers. He said that house prices will not fall unless these issues are addressed by the government. Lin also said Gamuda would prefer to pay a 2% levy based on sales to the government instead of imposing the quota for bumiputera units and affordable housing. The amount collected can then be utilised by the government to either subsidise the price of houses in the right locations for the B40 or build new units in areas with good connectivity and infrastructure, he added. He also highlighted Gamuda’s concerns about the participation of Chinese contractors in the domestic construction industry. Currently, the market share of these companies add up to about 35% if the Forest City project in Johor is included. If the government decides to proceed with the East Coast Rail Link project, which is still under discussion, he said the market share of the Chinese contractors will go up to 60%. “We should understand the implications of this. These big Chinese contractors are all state-owned companies and if you look at their balance sheet, you will see that their net profit is less than 1% of their turnover. “They clearly want these projects to give jobs to their people, seeing as how each of these companies employ a few hundred thousand engineers. “At the same time, every year, thousands of Malaysians graduate as engineers and technicians and they can’t find work because these contractors get all of their resources from China through their e-commerce platforms and totally bypassing our economy,” he said. “Many of our better engineers and technicians have gone to get jobs in Singapore, the Middle East and even Taiwan and Hong Kong. I feel that we should be quite concerned with this displacement issue,” he said. With all these hurdles in the local market, Gamuda is looking to expand its construction business overseas. The group is particularly looking at expanding its operations in Singapore, Vietnam and Australia. He added that there are opportunities in Australia as the state governments of Victoria and New South Wales are looking to invest approximately A$100 billion (RM300.13 billion) into railway and metro projects over the next 10 years, which will mainly be located in Sydney and Melbourne. This article first appeared in The Edge Financial Daily, on Dec 7, 2018. Highway takeover could be a step in the right direction?